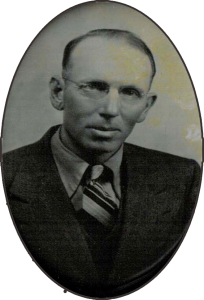 Cyrus and Dorothy Porch were married on July 3, 1933. 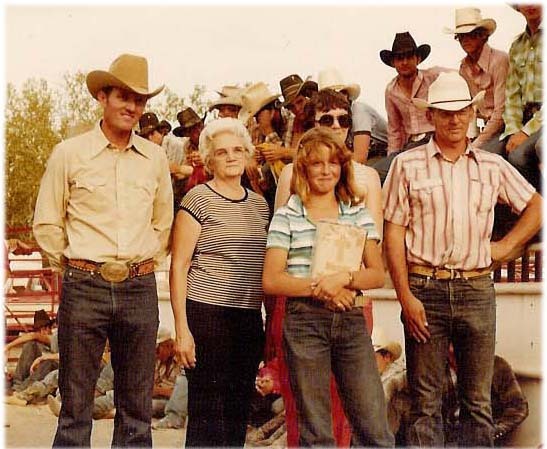 They raised their children, Boyd, Ralph, Stanley, Roger and Carol, on the family ranch south of Wanblee. Cy spent many hours riding horses with his children and learning the correct way to ride was always very important to him. 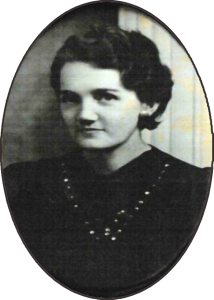 Dorothy took great pride in taking care and raising her children, along with other neighboring children. Due to failing health, Cy was unable to attend the first Rodeo Bible Camp in August of 1977. Cy passed away on September 18, 1977. Although Cyrus Porch was never able to attend camp, the Bibles that have been awarded in his memory have made a huge impact in the lives of those who received them. Dorothy attend Rodeo Bible Camp for many years to help cook and feed the campers. She would always bring frosted gingerbread cookies as a treat for the cooks. After Dorothy was unable to help to help in the kitchen, she continued to bring the cookies for the kitchen help to enjoy. 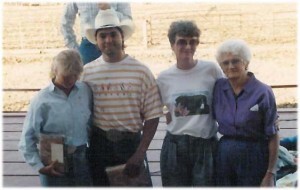 In August of 2005, Dorothy presented her final Cy Porch Memorial Bibles at camp. She passed away on February 6, 2007. 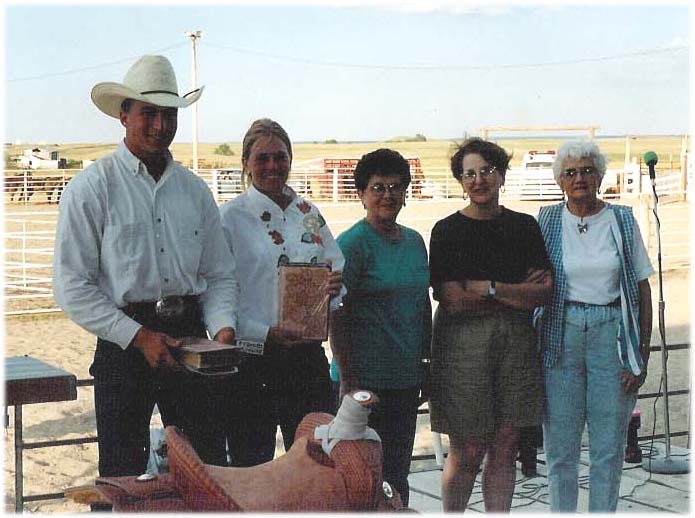 Cy and Dorothy’s children now continue to present the leather tooled Bibles each year at Rodeo Bible Camp in memory of their parents. The bible recipients are chosen by staff and volunteers at Rodeo Bible Camp. After spending four days among the campers, the staff comes together to discuss and nominate campers who they feel are deserving to receive the Bible. 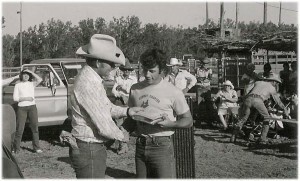 There is no criteria on how the Bible recipients are chosen, but they are not chosen by their rodeo skills or performance. Those who are nominated may not know the Lord but they show a heart that desires Him, they may be very strong in their faith and share the gospel or just somewhere in between and need encouragement.